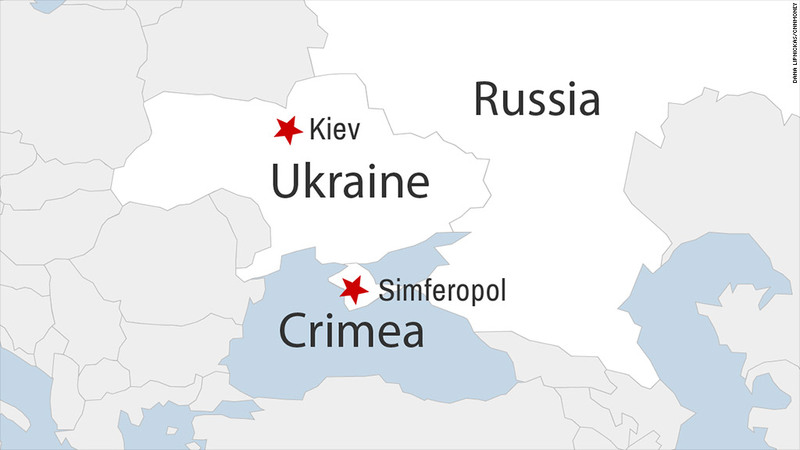 Crimea is voting on Sunday in a referendum to decide if the region should break from Ukraine and join Russia. Preliminary results showed the Ukrainian region of Crimea voted overwhelmingly on Sunday to join Russia, a move that could tip Europe back into a Cold War with its powerful eastern neighbor. The West has called the vote illegal, saying Russian military activity in Crimea violates Ukraine's sovereignty and will influence the outcome of the referendum. U.S. and European leaders say Russia will pay a price for annexing Crimea, and German Chancellor Angela Merkel has warned of a potential "catastrophe." As Crimean leaders move forward with their all-but-certain plans to join Russia, the fallout could ultimately affect economic growth, trade, investment and energy supplies. Sanctions: Western powers may move as early as Monday to impose sanctions against leading Russians. Europe and the U.S. would probably limit restrictions initially to travel bans and asset freezes on select individuals close to Russian President Vladimir Putin. Russia has said it will retaliate in kind. The focus on individuals, rather than Russian companies or trade, reflects concern that a new Cold War could hurt the region's fragile economic recovery. Russia's economy: While sanctions would hurt both sides, Russia would suffer much more than the West, analysts say. The European Union's exports to Russia account for 1% of EU gross domestic product. Russian exports to the EU are worth nearly 15% of Russian GDP. Former Russian Finance Minister Alexei Kudrin, now an economic adviser to Putin, said even limited sanctions would hit foreign and domestic investment in Russia. Western banks are already shutting off credit lines. Kudrin was quoted by Russian media saying the economy may not grow at all this year as a consequence of the current tension. Russian markets are reeling. The main stock market index has fallen by roughly 20% this year, and the ruble has plunged to record lows against the dollar. Investors pulled $33 billion out of the country in January and February, and that figure could hit $55 billion by the end of March, according to Russian investment bank Renaissance Capital. Russia will also face a hefty bill for supporting Crimea. The region currently depends on Ukraine for roughly 70% of its budget, 90% of its water, and most of its energy and food supplies. "It will be a great problem for [Russia] to supply ... all these necessary daily products for the population," said Yaroslav Pylynskyi, a director at the Woodrow Wilson Center. Helena Yakovlev Golani from the University of Toronto estimates Russia will want to commit roughly $10 billion annually over the next five years to build infrastructure, support pensions and pay social benefits to the region's 2 million people. Energy supplies: As long as the crisis doesn't spill over into other parts of Ukraine, analysts believe a full scale trade war should be averted and Russia will keep pumping critical supplies of energy to Europe. In its weakened economic state, Russia can't afford to lose export revenues. And the threat of a suspension of gas supplies is less potent than the last time it happened -- in 2009 -- because European gas stockpiles are higher and the weather is getting warmer. Europe's economy: European markets could suffer modest and short-lived losses from the chill in relations with Russia, given close business and trading ties. Germany would be most exposed -- it has more than 6,000 companies active in Russia. Still, economists expect the fallout to be contained. Berenberg's Holger Schmieding said the hit to Germany's economic growth would be at most 0.1% to 0.2% over the next 12 months, assuming the crisis is limited to Crimea. That would leave the European recovery intact. Ukraine: With or without Crimea, Ukraine will need billions in financial support over the next few months to get back on its feet. The EU has offered Ukraine $15 billion over the next two years, in the form of loans, grants, investments and trade concessions. The U.S. has promised $1 billion in loan guarantees, and the World Bank is talking about backing infrastructure and social security projects worth $3 billion. A team from the International Monetary Fund has been on a fact-finding mission in Kiev since March 4. The IMF said Thursday the team would stay until March 21 to begin negotiations on a program of support and economic reform. -- CNN's Isa Soares contributed to this report.